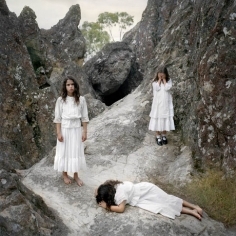 Foley Gallery is pleased to announce Haunted Country, an exhibition of new photographs by Australian photographer Polixeni Papapetrou. 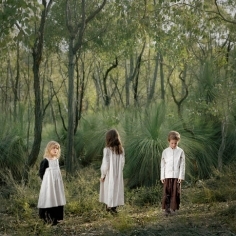 Inspired by real and fictional accounts of children who have gone missing in the Australian bush, Papapetrou revisits the sites of the most notorious disappearances and stages scenes proposing what the physical and psychological circumstances may have been like for these lost and wandering children. These include sites in Victoria such as Wimmera, Daylesford and Hanging Rock where most cases of the 19th and 20th century have been reported. The figure of this bush-lost child is one of the poignant themes in Australia's cultural remembering. Papapetrou's desire was to create photographs that embody the harrowing psychological aspects of these stories. She wants to draw the viewer into this emotional space, experience the undercurrent of the psychological drama unfolding and make connections between past and present consciousness about land and country. 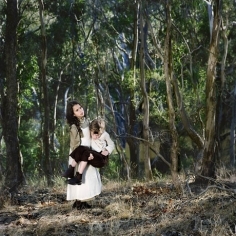 The bush-lost child acts as a metaphor to reflect upon other ways that children become lost to adults. 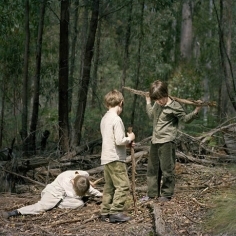 In these images, Papapetrou tries to capture feelings about Australia, but also about children and their external vulnerability in both the natural and social orders of our culture. In the catalogue essay, Robert Nelson writes, "An ambivalent spectre hangs over the Australian Landscape. It is beautiful land, famous for its scale and dryness. But there is a special discomfort wherever white people tread. They do not all together belong...The colonial encounter with the land involved progressive destruction and degradation. 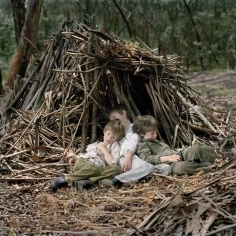 The virgin bush was experienced as an impediment and a threat...Through (these) children, the most vulnerable tenants of the bush, Papapetrou contemplates visually the historical meaning of the land throughout the period of European Occupation." This is the first solo exhibition of Papapetrou's work in the United States. 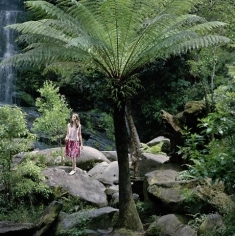 Her work is included in several museum collections, including the Sydney Museum of Contemporary Art, National Gallery of Victoria and the National Gallery of Australia, Canberra, Oz. 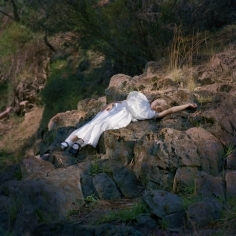 She Received the Australia Council New Work Grant in 2005 and the Arts Victoria Professional Development Grant in 2003. She currently lives in Melbourne, Australia. 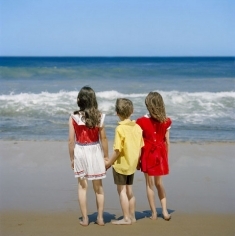 For more information or for images, please contact the gallery by phone or e-mail. Photographs from the exhibition are available to view on the website in the Artists section.